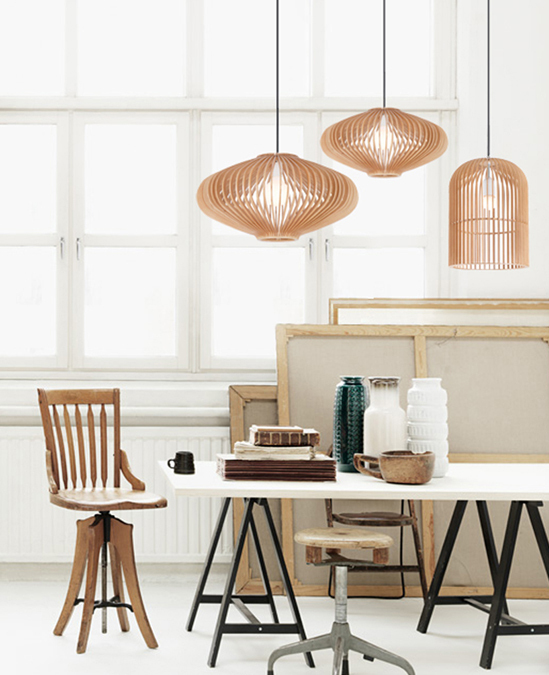 This contemporary Bird cage Pendant Light will light up your interiors with a vivid radiance. The cage has poetic symbolism - it encloses light but its radiance shine over space. Made of ash and in the fawn finish, this beautiful pendant light is a perfect addition to any space. Uniquely designed, this light will cast artistic shadows to the room when it's on. 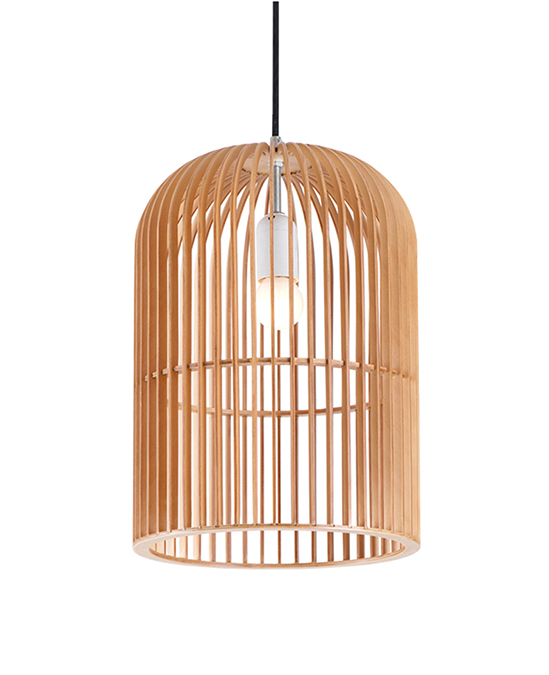 This cylindrical birdcage pendant light is certain to become the great addition to any kind of space.